The final “Allegro assai” from Sonata No. 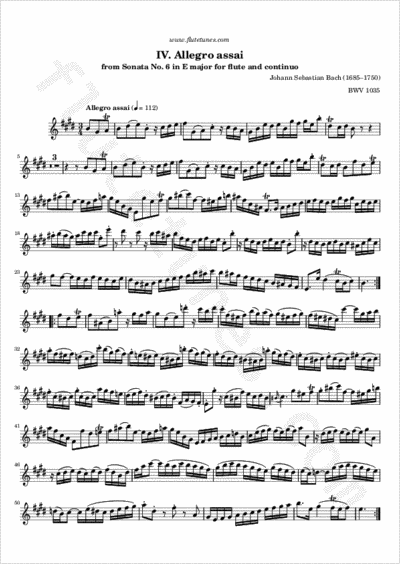 6 in E major is one of the most overtly virtuosic movement in Bach's works for flute. It is in the form of a quick baroque polonaise, and demands faultless technique and skillful articulation.